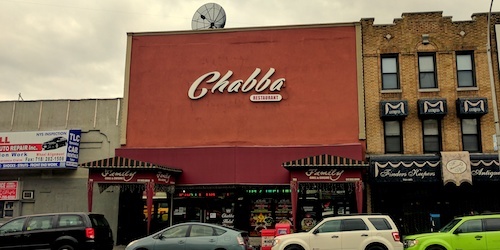 Years ago when Chabba first found a spot in my notes, it was completely Afghani, one of two spots on a strip full of South Asian joints in a South Asian neighborhood. Bengalis and Pakistanis would wander past and the place did not get much business. 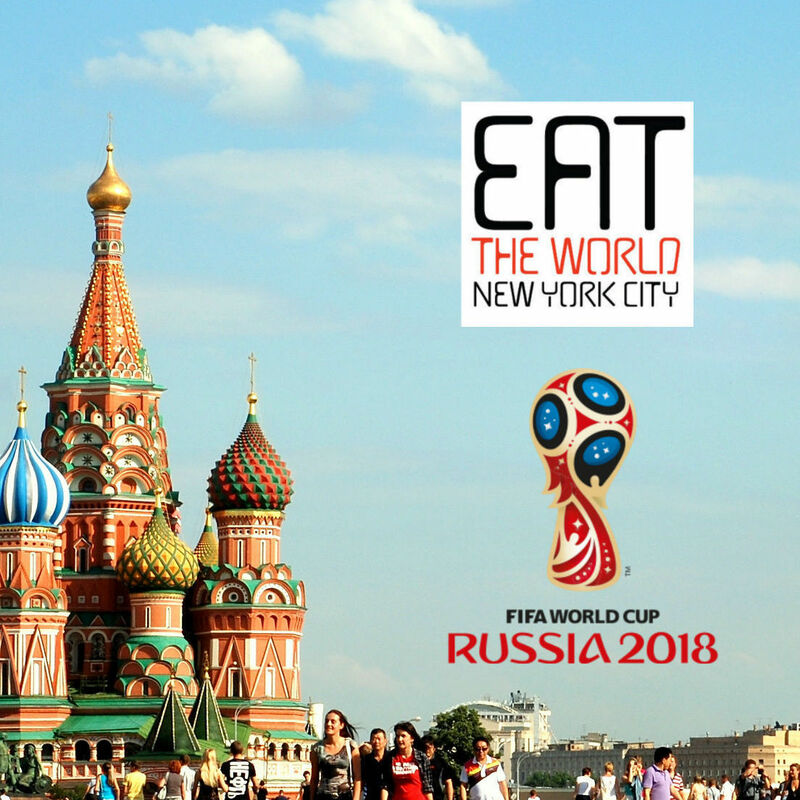 I noticed some time ago that the menu adapted to reflect this and had less desire to go, but recently made it for the first time. When interest was showed in the Afghani page of the menu, the friendly proprietor seemed to perk up and was excited to showcase the reason the restaurant came to be in the first place. Later when questioned, she said the neighborhood demanded more South Asian tastes on the menu and this forced her to add the small lunch buffet and greatly shorten the unpopular Afghani items. To be honest, the place was still not very crowded during a weekday lunch at 12:30. Two men were eating at a small table in front when I entered, speaking quietly together. I was seated in a large empty back room used for banquets and parties with bright red upholstered seats. Was this where they made their money? The buffet itself did not look very appetizing, and was not self-serve. 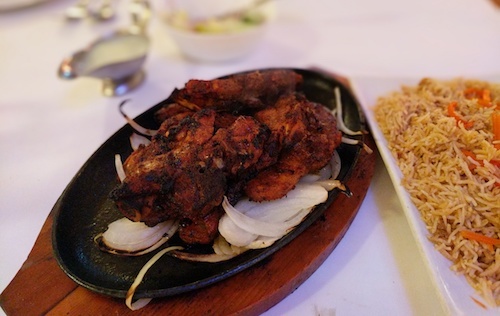 After inquiring about different cuts of meat (the Afghani portion of the menu was entirely meat and kebabs), it was settled that the lamb chops, the most expensive item, were the highlight of the show. 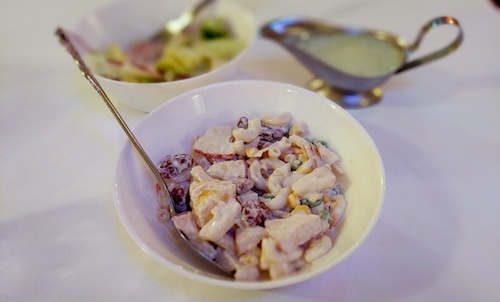 Before they were ready, the woman brought out a complimentary bowl of fruit salad (above) that seemed just a bit healthier than the macaroni salad your uncle brings to the July 4th party. The lamb chops ($12.99, below) come on an (almost) sizzling platter, over a bed of onions. The reddish hue and nice spice reminds of tikka, and all the tender meat is easily removed from the bone. Afghan rice ($4.99, below) is sold separately but worth adding, the sweetness of raisins somehow permeating the brown basmati. This specific rice, kabuli pulao, is the de facto national dish of Afghanistan, served with most meals when it can be afforded. The green mint chutney that arrives at the table pairs very well with it. After the meat arrived, I was asked if I would like the "Afghan sauce." Of course this was not turned down, and turned out to be a creamy white sauce that was terrific with the lamb. If this does not make it to your table automatically, make sure to ask for it.